The polls overestimated support for independence, just as in the 1995 Quebec referendum. Secession from a well-established democracy is extremely difficult due to voters’ risk-aversion and status quo bias. Scotland’s right to decide elicited salutary promises of decentralization from the British government. My book found that countries with legal secession saw more decentralization than countries without, and countries with legal secession never recentralized power in the post-World War 2 era, according to the measure of regional autonomy I used. While Westminster is likely to follow through on some additional powers for Scotland, they are not likely to approach anything like “devolution max.” For one thing, the Barnett formula will continue, suggesting the Scottish government’s budget will remain heavily dependent on transfers. For another, significant powers for Scotland will require wholesale constitutional reform, particularly to deal with the West Lothian Question, and there are many obstacles to a solution to that problem. Finally, the scale of No’s victory will reduce the urgency for British leaders to get something done. I will be very much surprised if a bill is produced to give Scotland autonomy equivalent to that enjoyed by, say, New Hampshire, let alone the Isle of Man. There’s going to be a lot of ignorant commentary about what this means for Catalonia. It means very little. Catalonia will proceed toward its own vote on independence. 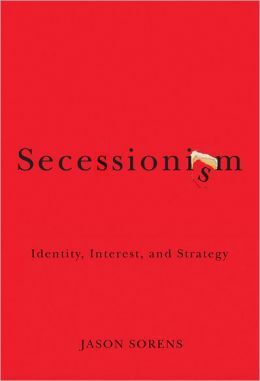 Secessionism isn’t contagious across borders, nor is declining secessionism. If anything, the No camp’s victory might persuade the Spanish government to allow a Catalan vote — but I wouldn’t count on it. To favor creating a new state somewhere is to be a dirty nationalist. To favor keeping all existing national states precisely as they are is very progressive and enlightened and not nationalist at all. How do these people believe this stuff? Even though independence would be bad for Scotland in the short to medium run, part of me hopes that they vote Yes today just to give the Westminster, Transatlantic, and Eurocratic establishments a good, hard kicking. In Scottish news, polls have turned a bit against independence, and betting markets now price a “Yes” at around 22-24%. I will take another look at how this affected capital markets, and what that implies about the economics of independence, a bit later in the week. What can we learn from capital markets about the likely consequences of Scottish independence? A trio of recent polls has shown the “Yes” side to have pulled roughly even with “No.” With momentum on their side, it’s not unthinkable at all that “Yes” will pull it out, resulting in the first secession from a Western democracy since Iceland withdrew from Danish union in 1944. Most American commentators, from Paul Krugman to Tyler Cowen, oppose Scottish independence and forecast economic disaster for the new country. Are they right? Let’s look at the behavior of capital markets in Britain since these polls’ release to find out. 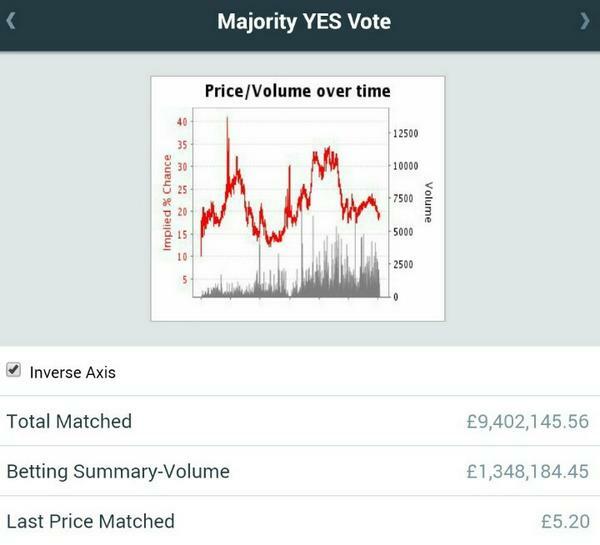 First, let’s set the stage by looking at how betting markets price the probability of Scottish independence. Unfortunately, there are no nice InTrade-style charts for implicit probabilities anymore, at least not that I can access from the United States. From oddschecker.com, I am able to pull odds from different exchanges from the beginning and end of each day. Looking at the markets with most liquidity, it looks as if the odds for independence moved from about 19.5% Friday night to about 25% Saturday night, after the release of the YouGov and Panelbase polls (the Panelbase poll suggested “No” might still have a small lead). On Monday morning the odds stood at about 23.3%. After the release of the TNS poll Monday evening (confirming the dead heat), the odds moved in to 26.0%. Not much of a correlation. To be sure, the pound fell against the euro when trading opened Monday morning, following the shock weekend poll from Yougov and the somewhat-reassuring poll from Panelbase, but the TNS poll released late Monday night appears to have had zero effect on the pound, even though it did have a small effect on the betting markets. 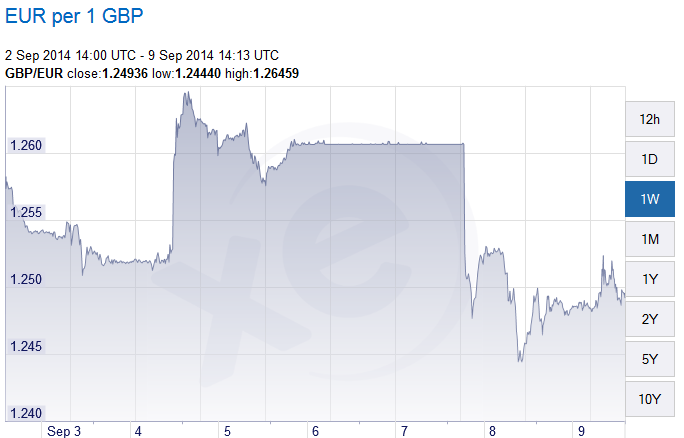 Now, the pound has fared a little worse against the dollar, because the euro has also dropped against the dollar. This may reflect that traders believe Scottish independence raises the probability of British exit from the EU. But this would not be a direct cost of Scottish independence, and it would ultimately be up to English, Welsh, and Northern Irish voters whether they want to withdraw from the EU. I’ve got the Dow in there for comparison (in green). So the FTSE fell about 0.3% on opening Monday, then drifted downward throughout the day, finally recovering all that ground except the initial 0.3% drop. On opening Tuesday after the TNS poll, it actually rose. As of this writing is down just about 0.4% from Friday’s close. 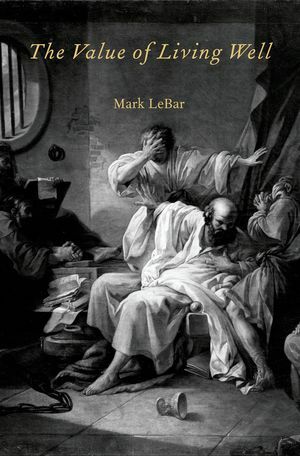 This looks like a muted response to me. But what about Scottish-exposed stocks in particular? I took the list of top 25 Scottish companies here and winnowed the list down to those listed as having Scottish ownership and being publicly traded. Nine companies fit that test. I then constructed a weighted average of their share prices at Friday close, Monday open, Monday close, and Tuesday open, the weights being each stock’s market cap according to investing.com. Recall that there were two surprise polls, one over the weekend and one released Monday evening, the former having the greater effect on betting markets. The Scottish index I created lost 1.7% of its value on opening Monday morning, a noteworthy drop because it happened right away. It’s plausible to attribute this drop to the increased risk of independence. However, today it lost nothing on opening – in fact, it was up 0.1%. Still, the total loss to these nine firms’ market value amounts to about $800 million. The fact that there was no further response of capital markets to the TNS poll, even though betting markets did respond, weakens our confidence somewhat that investors are responding negatively to the prospect of independence, but let us work with the assumption that they are. What would happen to these firms’ value if independence were dead certain? Expected utility analysis helps us here. They lost $800 million in value on an increase in the probability of independence of 5.5+2.7=8.2%. We can infer that an increase from 20% to 100% would wipe out $800 million*8/.6=$7.8 billion. That’s a fair proportion of their existing value: about 16%. Of course, investors are risk averse, and the very uncertainty of the outcome might be driving a fair proportion of the losses. A closer look reveals that different stocks responded differently to the poll news. Two transportation companies, FirstGroup and Stagecoach Group, lost virtually nothing, and Aggreko, which rents temperature control systems, lost absolutely nothing. Financial and energy/power companies were pounded. An engineering company closely linked to the oil industry, the Weir Group, took a more modest 1.0% loss. UK Labour MP and former Chancellor of the Exchequer Alistair Darling and Scottish First Minister and Scottish National Party MSP Alex Salmond last night debated independence for Scotland as part of the campaign leading up to a referendum on September 18. While the “Yes” camp remains slightly behind in the polls, they have been catching over the past several months, and it is likely that the vote itself will be close. Is the United Kingdom Independence Party Libertarian? They’re riding high in the polls, passing the Liberal Democrats in some of them, but is the United Kingdom Independence Party philosophically libertarian? Alex Massie says no. Ed West says yes.